Take half a day or a week to explore the Luchapt countryside and its varied landscapes! A number of facilities are provided so as to allow children and adults to develop and enhance their skills with and around horses: an indoor riding arena, an outdoor and exercise arena, a round pen, a cross country terrain, boxes, a tack room, paddocks, showers for horses, meadows, a clubhouse... Assistance is provided by qualified instructors. 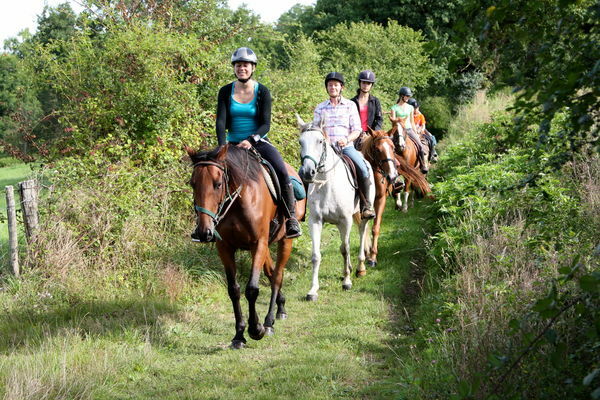 The pony club welcomes children aged 6 years and over on Wednesdays. Horse, pony and carriage rides are available. 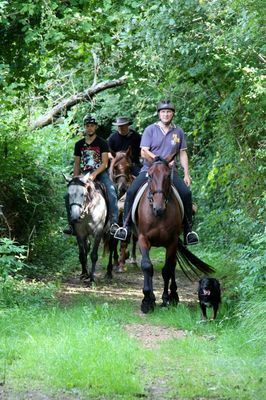 Riding instruction: €20; 10-lesson pass: €150; private lessons: €30; horse rides: 1h½ = 35€, ½ day treks = €45, whole day treks with picnic = €95. 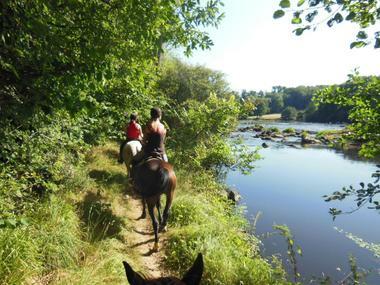 Horse rides: 1h½: €35; ½ day trek: €45, whole day treks: €95. Pony club (Wednesdays): 1 hour: €15; private lesson: €30; 10-lesson pass: €125; Introductory Package (3 Hours): €35. Horse-drawn carriage courses: Individuals: 1h½€50; 2 people: €30/pers. ; horse-drawn carriage ride: 1h½ = €40, ½ day = €75. Tips for the Sud-Vienne-Poitou: you can stay in one of the farm cottages or guest rooms at “La Vallée des Cerfs”, or at the farm’s campsite. That little extra something : why not reserve a table and taste the farm produce? There is no review about Ferme Équestre La Vallée Des Cerfs, be the first to leave one !